Mary Baker was a model and store clerk who left Regina in 1943 to become a professional baseball catcher. She was featured in Life magazine, appeared on television's What's My Line?, and was likely the inspiration for the character portrayed by Geena Davis in the 1992 Hollywood movie, A League of Their Own. Baker, who died on Wednesday in Regina, aged 84, was one of the stars of the All-American Girls Professional Baseball League. Her dark good looks made her a favourite choice when a player was needed to pose for publicity photos. She became the face of the league. Male reporters dubbed her Pretty Bonnie Baker, giving the league what its owner most desired, a touch of glamour. Many women have charm; not so many can also whack the ball. She played more games in the storied circuit than any other player, with 930 regular-season and 18 playoff appearances. She was also the only player to become a manager, coaching the Kalamazoo Lassies for a season even as she fulfilled her daily catching duties. A beauty in front of the lens, she was a pugnacious presence behind the plate. The catcher was a fan favourite for her spirited arguments with umpires. Those debates were often conducted in small sandstorms generated by the stomping of her feet, which soiled the polished shoes of the unwitting arbiter. "She was a tough competitor," said Arleene Noga, 79, a farmgirl from Ogema, Sask., who played the infield for the Fort Wayne (Ind.) Daisies. "Like catchers do, she kept her team's spirits up." The 5-foot-5, 133-pound fireplug hit only one home run in her nine-year career and finished with an unimpressive .235 average, but she had a discerning eye -- striking out just six times in 256 at- bats in her rookie season -- and was a threat to score once on base. Baker stole 506 bases in her career, including 94 in 94 games in 1946, when she was named the league's all-star catcher. Baker spent the first seven years of her career in South Bend, Ind., with the Blue Sox. Her first visit to Bendix Field reminded her of her hometown. "The dust was blowing and it was always very windy, but that didn't hinder me," she told the South Bend Tribune last year. "I felt like I was playing in Yankee Stadium." Mary Geraldine George was born in Regina on July 10, 1919. (Some baseball sources list her birth a year earlier.) She had four brothers and four sisters, all athletes and every one a catcher. She was blessed with a powerful right throwing arm and once hurled a baseball 343 feet. In 1943, she was working as a $17-a-week clerk at the Army and Navy store by day while playing softball for the A&N Bombers at night and on weekends. She was discovered by Hub Bishop, a hockey scout who was recruiting players for a fledgling women's league being launched in Chicago. With her husband serving overseas in the air force, Baker was convinced by her mother-in-law to accept the invitation to a tryout at Chicago's Wrigley Field, without seeking her husband's approval. The adventure was welcome. There was nothing to do on the Prairies during the war, Baker once said, "except play ball and chase grasshoppers." The league was the brainstorm of Philip K. Wrigley, the chewing- gum magnate who owned the Chicago Cubs. He wanted to create a profitable wartime entertainment that would also furnish a tenant for his ballpark on those days when his men's professional team was on the road. As it turned out, the league thrived not in Chicago but in the smaller cities of the American Midwest. South Bend was one of the league's inaugural teams, along with the Kenosha (Wis.) Comets, the Racine (Wis.) Belles, and the Rockford (Ill.) Peaches. The Belles of the Ball Game, as they were called, were given instruction in etiquette and were accompanied at all times by a chaperone. The women wore uniforms of a short-sleeved, belted tunic dress with a flap that buttoned on the left side, leaving room for a circular crest on the chest. While wartime heroine Rosie the Riveter may have been depicted in jean overalls, the women baseball players had to wear skirts, often raising ugly welts and strawberries on their exposed legs. As a base stealer, Baker suffered more injuries than most. 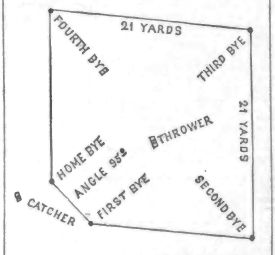 Before every game, the two teams would stand along the foul lines from home plate in a "V for Victory" formation in support of the war effort. Once, Dorothy Maguire, a catcher for Racine, took her place in the V only moments after learning her husband had been killed in action. Life published a two-page spread on the league in June, 1945. Baker was featured in a photograph showing her in a catcher's mask. The league's popularity peaked in 1948, as teams drew more than one million paying customers that season. "The fans treated us as though we were stars," Baker told the Tribune. "They took us into their homes and treated us as family." Once, she was even presented with an automatic washing machine made at a factory in South Bend. Baker was traded to the struggling Lassies in 1950. As manager, she improved the club's performance, but the Lassies still finished last of eight teams with a terrible 36-73 record. After her stint, the league barred women from becoming managers. Baker sat out the 1951 season to have a baby, and returned the next year for what would be her final professional campaign. She hit just .208, and for the only time in her career had more strikeouts (22) than stolen bases (20). The All-American league closed its doors two years later. Back in Regina, Baker took up softball again and led her team to the world softball championship tournament in 1953. She became a sportscaster for Regina radio station for CKRM in 1964. And she managed the Wheat City Curling Club in Regina for 25 years until retiring in 1986. She has been inducted into the Saskatchewan Baseball Hall of Fame and the Saskatchewan Sports Hall of Fame. 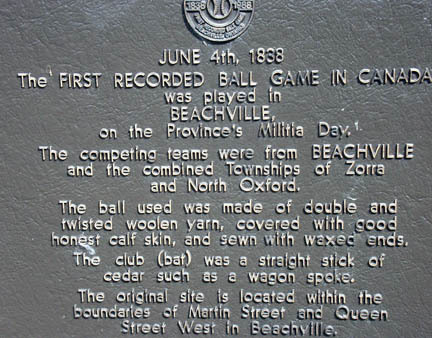 The Canadian Baseball Hall of Fame in St. Marys, Ont., inducted the league's Canadian-born players as honorary members in 1999. In 1988, an exhibit honouring the All-American league was placed on permanent display at the Baseball Hall of Fame in Cooperstown, N.Y.
A League of Their Own also encouraged recognition for the pioneering athletes, an honour long seen as overdue by many. The movie starred Madonna, Tom Hanks, Rosie O'Donnell and Ms. Davis, whose portrayal of a character named Dottie Hinson was widely believed by the former players to be mostly based on Mrs. Baker. The family of another catcher, the late Dottie Green, also claim to have been the inspiration for the character. Baker died of respiratory failure at the Santa Maria Senior Citizens Home in Regina on Dec. 17. She leaves a daughter, Maureen (Chick) Baker, two grandchildren, two great-grandchildren, and brothers Andrew and Patrick. She was predeceased by her husband Maurice, who died in 1962, three children who died in infancy, two brothers and four sisters, including Gene McFaul, a pitcher who had been her teammate at South Bend in 1947. A memorial service was held at the Wascana Country Club on Saturday. The eulogies were followed by a seventh-inning stretch, during which mourners sang Take Me Out to the Ball Game.